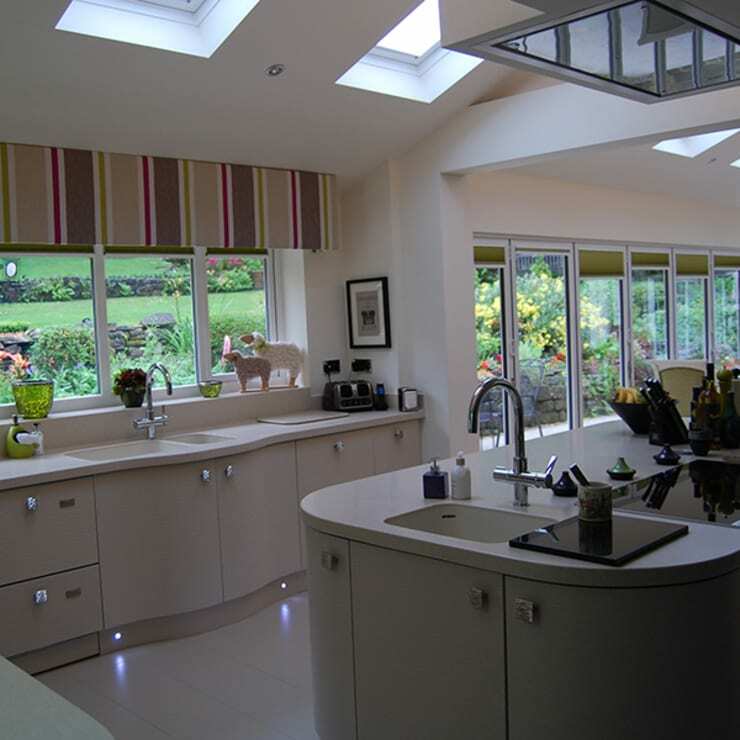 A stunning kitchen / dining / living space with 9 metres of bifold doors. 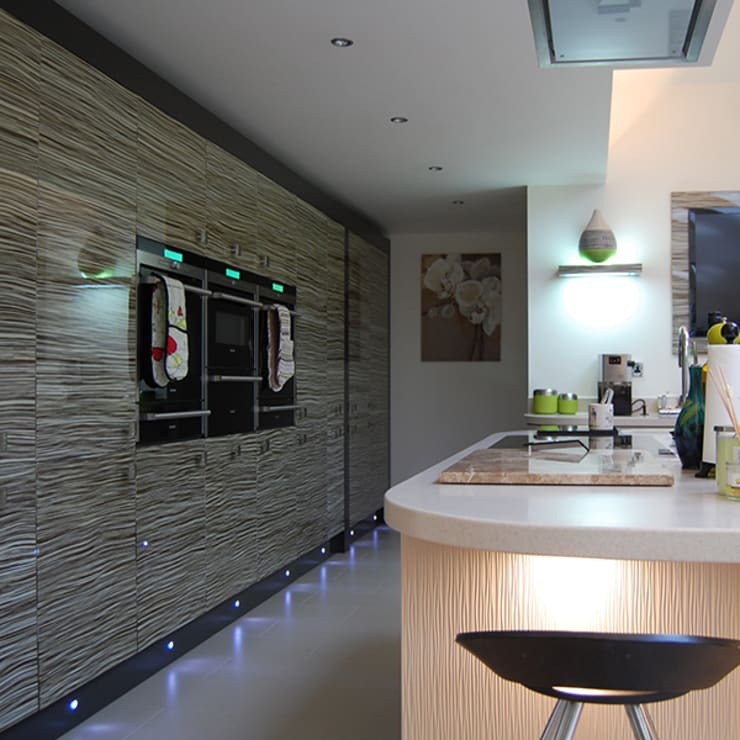 Cabinetry – High gloss minty zebrano slab doors contrasting with curved, textured cream doors. 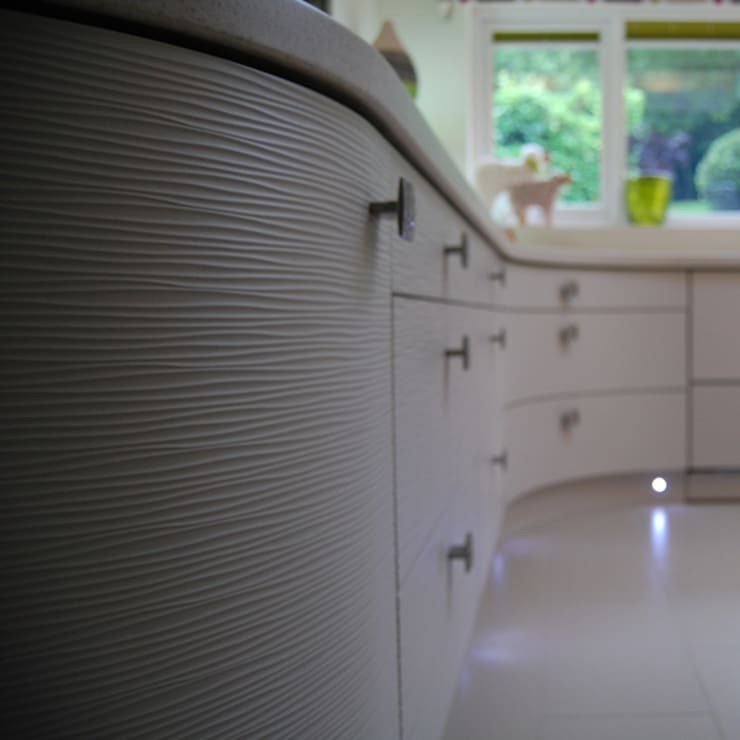 Work surfaces – Corian with integrated seamless sinks. 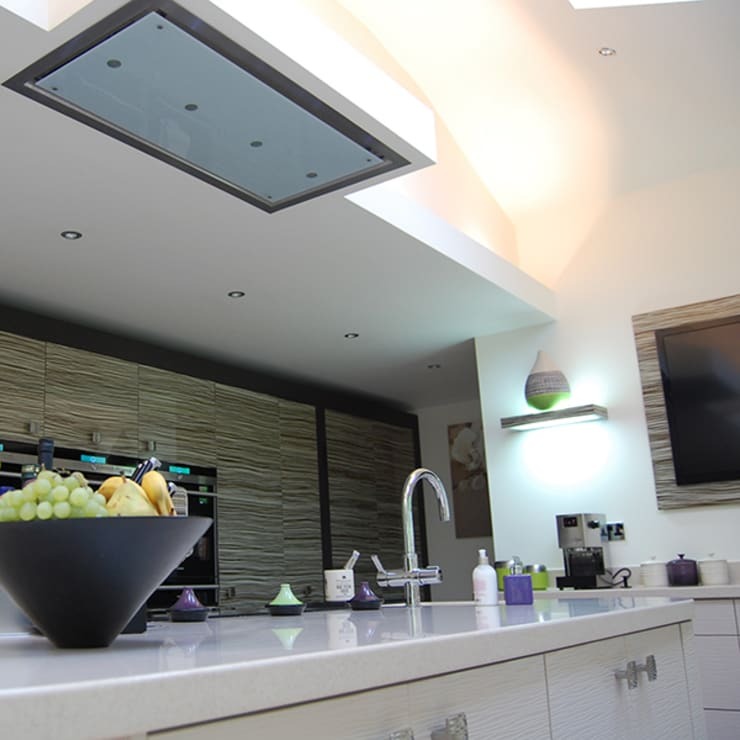 Unique feature – 6 electric Velux roof lights add even more natural light.